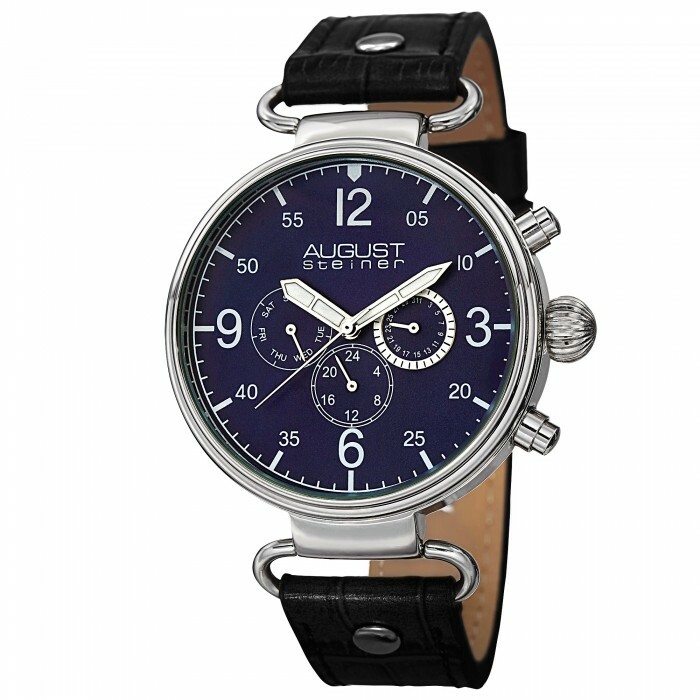 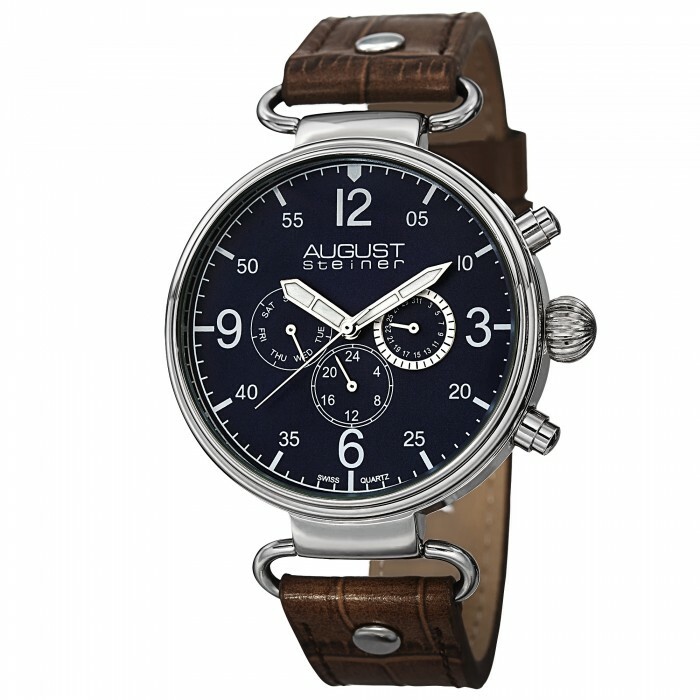 This August Steiner timepiece is an excellent example of classic design meets modern fashion. 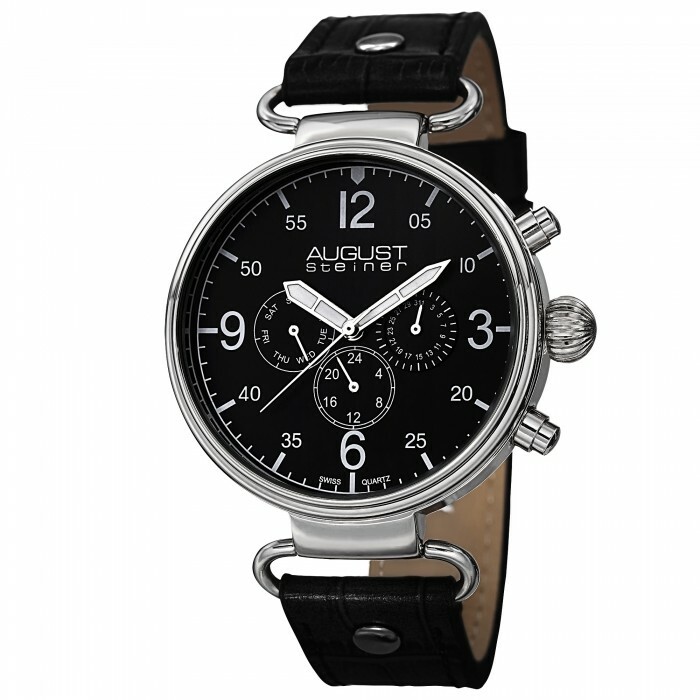 The bold case has a polished finish while the matte finish dial showcases printed Arabic numeral markers. 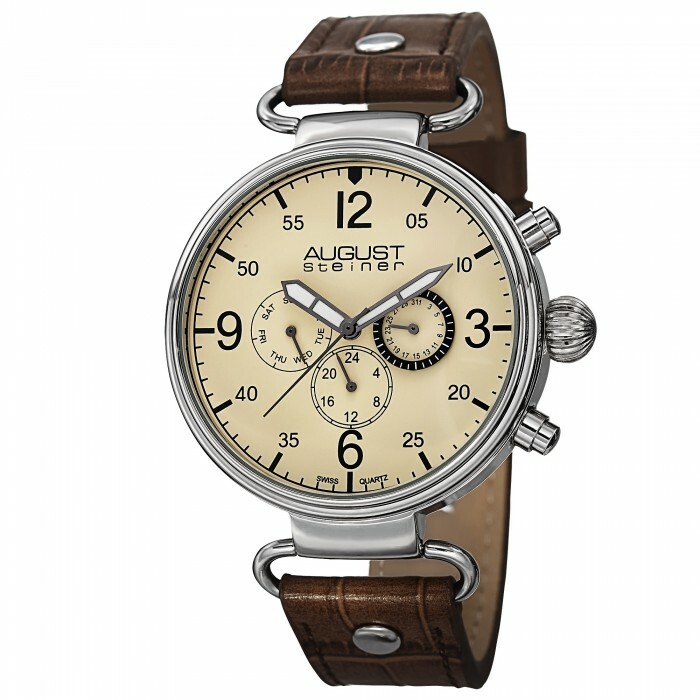 It is powered by a quartz multi-function movement that tracks day, date, and 24 hours. It comes equipped with an alligator embossed genuine leather strap.